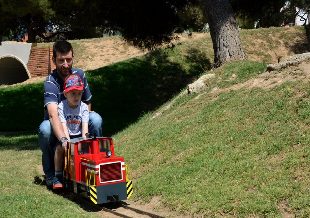 Vilanova y la Geltrú has a lot of interesting places to visit, but make sure you don’t miss the Railway Museum. It’s okay, you don’t have to be a train fanatic to be impressed. This educational excursion provides entertainment for all, as there are plenty of activities for the kids as well. We wish you a lovely stay at our familial hotel in Vilanova y la Geltrú! The Railway Museum actively and innovatively displays the universe of the train and its importance in the present world. The institution aims to acknowledge the history of transport from 1848 until today and preserve the Catalan railway heritage. 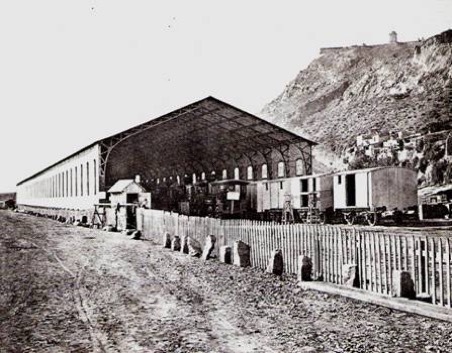 It is located inside the old reservoir of locomotives of Vilanova y la Geltrú, right next to the station of the train. It is an industrial building of great historical interest, built at the end of the 19th century. The museum has the most important collection of steam locomotives in Europe, with 28 locomotives manufactured in the 19th and 20th centuries. Inaugurated in 1990, it is managed by the Spanish Railways Foundation since 1992. 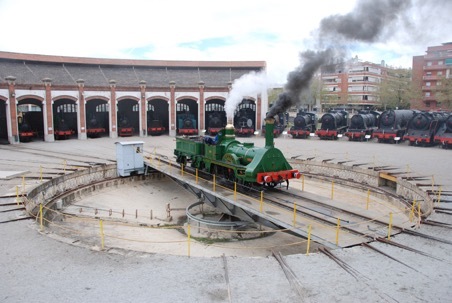 The museum occupies the former locomotive depot of Vilanova y la Geltrú, built at the end of the 19th century. At the time, there were more than 900 workers. The collection is placed in the original installations of a large steam locomotive depot. This was a former production center which was used as a base and machine repair shop. This center closed his doors in 1967 to re-open as a museum in 1990. The main building of the museum was built in the 1970s as a stewardship for the railway staff. In this building you can see the part of the permanent exhibition devoted to the world of railway stations and a specific room for projections, such as the “Cinema TREN”. You will also find areas for different services, like the reception, library, shop, children’s area, as well as administration area and meeting rooms. 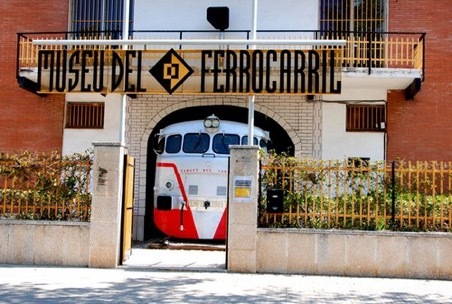 At the reception of the museum is a part of the collection: the entrance of the station of La Granada. The Museum opened his doors in 1990. Approximately 900 workers were involved in the maintenance and repair of locomotives until 1967 when these activities ceased. The elements found in this Museum are of a quality and interest well considered internationally. The collection has more than sixty vehicles from all periods of history, from different countries of origin and different technologies. There are 28 steam locomotives dating from the late nineteenth century, including the oldest of Spain and the last one that has been in operation. There are also wagons, diesel or electric machines and other interesting vehicles. The collection of vehicles, of all times and technologies, coming from different countries. Be ready to discover, among the 50 vehicles, electric, diesel, steam locomotives, and passenger cars of various types. The next place you will encounter is the Rotunda, a semi-circular building where steam locomotives, the rotating bridge and three water tanks are stored for the supply of the machines. Hereafter, in the 21st Century Space, where you will learn everything about the new railway technologies, especially the High Speed. In the upper floor of the service building you will find the documentation center, including more than 4500 bibliographical references and interesting visual material with more than 7000 images. Besides the wide collection of historical locomotives, a miniature steam train can be found and ride. Well, good luck with getting them off the train again. The museum has also a children’s theatre and organizes workshops to teach them a little bit of history, science and technology. Choose your offer and stay with us while in Vilanova y Geltrú!